You are currently browsing the The Pet Product Guru blog archives for the day Wednesday, March 21st, 2018. If you are looking to do something really great, and love animals, why not consider adopting a senior Greyhound? 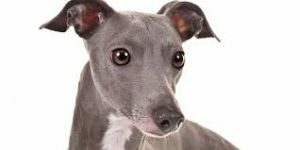 God’s Greyts is a volunteer organization dedicated to placing greyhounds over the age of 7 into permanent loving forever homes. They also educate the public about this elegant breed. When a racing greyhound’s career is over, usually between the ages 2 to 4, they make the best companions. Often forgotten, however, are the seniors. These are special dogs who have been used for breeding, abandoned in shelters or returned to adoption groups because they are “too old” or because they just don’t fit into our lifestyle anymore. It is heartbreaking and sad that these wonderful animals were uprooted and bounced around when these amazing souls should be enjoying their golden years. Gods Greyts of Delmarva depends entirely on fundraising and donations to help the senior Greys. So if it’s in your heart to donate or adopt one of these unique, warm, wonderful creatures you can contact God’s Greyts at 423- 244-4361. These creatures are couch potatoes, Intelligent and friendly by nature, eager to please, minimal shedders, great with kids and other pets, quiet, less demanding, adaptable and content. Have I sold you on one yet? Now I’ll try to sell you on listening to some great oldies on our online oldies and standards radio station. Edgewater Gold Radio! The best songs from the 50s through the 80’s along with great vocals and standards! Listen all day at work from our website: edgewatergoldradio.com. Listen on your Amazon Echo, or google device. Just say “Play Edgewater Gold Radio.” We’re also on Tunein and our own Edgewater Gold Radio app. Listen all the time! Enjoy our music and your beloved pets!